Do worms have a head? Yes! Take a look at the photo above. Adults have a band called a clitellum around their body. You can easily see it and it’s always closer to the head. Juveniles don’t have a clitellum. However, earthworms generally move in a forward direction. So, by observing the direction a young worm is moving, that will usually identify the head part of its body. How long do earthworms live? An earthworm’s life isn’t easy. 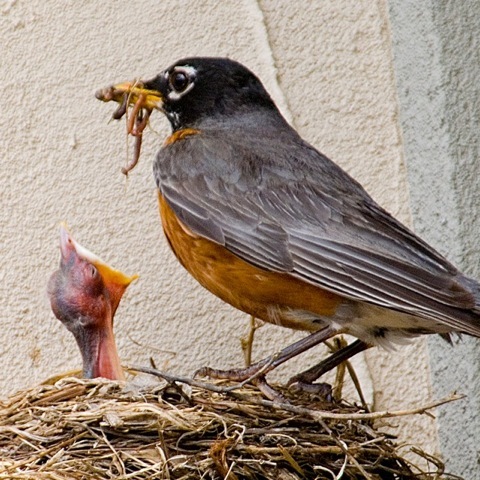 Robins and other insect-eating birds, as well as lizards, snakes, frogs, skunks, moles and other wildlife eat them. Chemical fertilizers harm them. Insecticides and pesticides kill them. Our shovels chop them up. Tillers not only chop, but also reduce the amount of organic matter available to them for food. If they survive all that, they may live four to eight years, depending on the species. 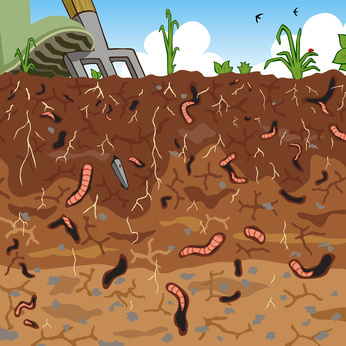 Earthworms need moisture, so if taken out of the soil, they may live only a few minutes. How do earthworms keep from freezing? They migrate! It’s a migration measured in feet, or maybe inches — but it’s enough. They don’t move north and south, but rather up and down. In the fall, they move deeper into the earth to get below the frost line to keep from freezing. Sometimes groups ball up together to reduce moisture loss. In spring, as the soil warms, they tunnel upward and we see them once again in our gardens. Earthworms don’t smile, they aren’t cuddly or cute. Most people find them icky to touch, and they’re so squirmy, too. But, they’re so important! They create macropores in soil, which allows better water infiltration and root growth. Their castings (poop) contain nitrate, phosphorus, magnesium, potassium and calcium, so nutritious for the soil, including our vegetable gardens. 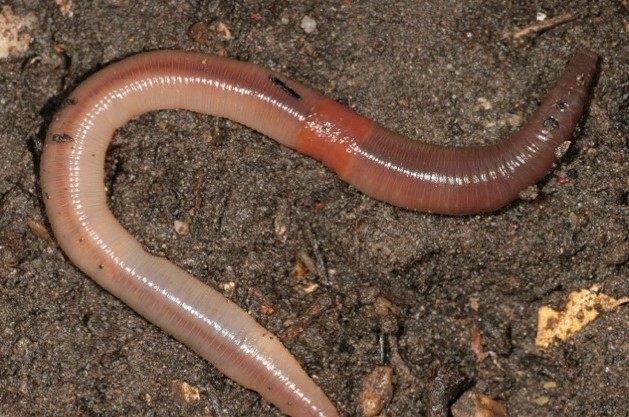 In a well-populated soil, earthworms can recycle 8,000 lbs. of soil per acre. When they die, their own bodies add organic matter. Take good care of them by using only organic fertilizers and no pesticides. They do! Their excrement is called castings. Castings are composed of dirt mixed with organic matter. They contain concentrated nutrients that are lacking in poor soil. It makes a great fertilizer. So good, in fact, that some people maintain a worm bin. Into the bin goes their meal leftovers, which are consumed by the worms and eliminated as castings. 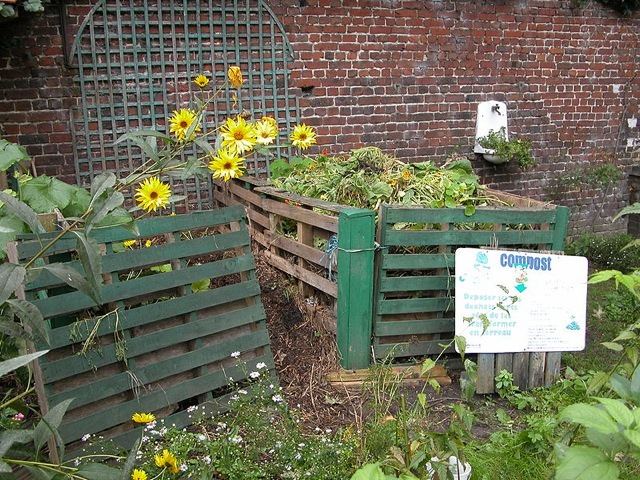 The resulting compost is used in potting soil, as a mulch or made into a “tea” to sprinkle as a fertilizer. There are many “vermicomposting” sites on the internet that explain how to do this. Their skin (called a cuticle) is soft and very permeable. The slime is a mucus produced by the clitellum (kly-TELL-um) and it’s crucial: Worms breathe directly through tiny pores in their skin and this moisture allows oxygen to pass directly through and into their bloodstream. It also allows carbon dioxide to pass out. If the skin dries, the worm can’t breathe. The slimy skin also serves another role, as a lubricant, to help ease the worm through the soil. 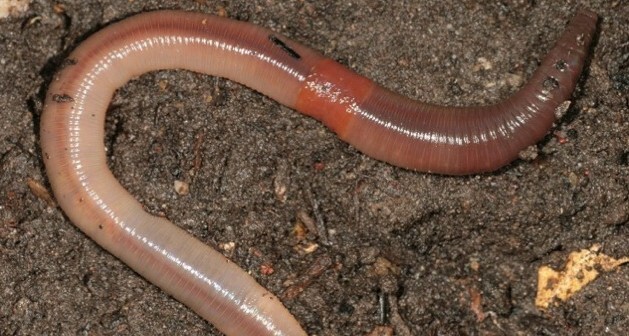 The clitellum can be seen on an earthworm as a swollen band. Mucus from the clitellum also forms cocoons to hold worm embryos. You can see the clitellum in the top photo. Is fertilizer safe for earthworms? Yes, and no. 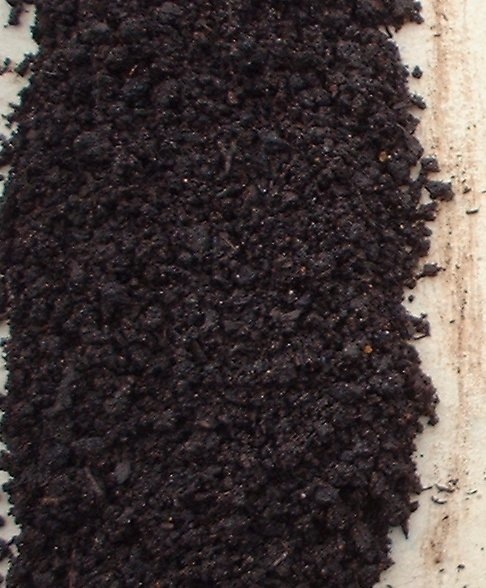 Organic fertilizers, like Milorganite, replenish the soil. By comparison, synthetic fertilizers contain the nutrients for plants to grow, but nothing for soil organisms to feed on. In time, the soil may “die.” Earthworms are driven away or might even die off because of the high salt concentration in these products. Other good organic fertilizers: compost, blood meal, bone meal, organic poultry manure, coffee grounds.